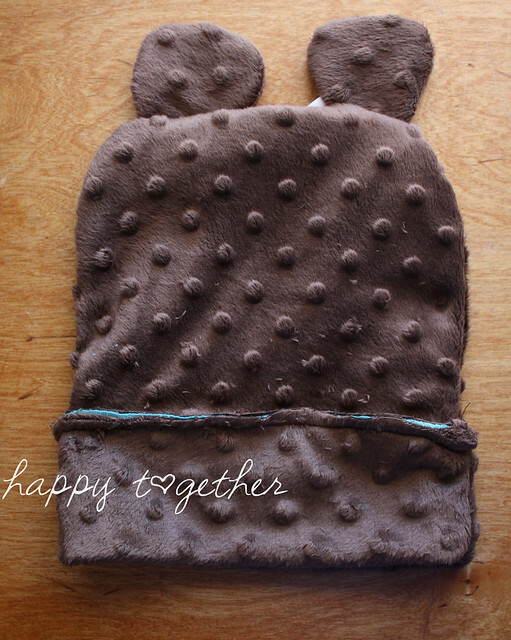 The last of hats for my baby: A “beary” cute hat. I must say, she’s been a good sport for me with more than normal photo shoots last week. That being said, I think she had had enough when it was time for this one. 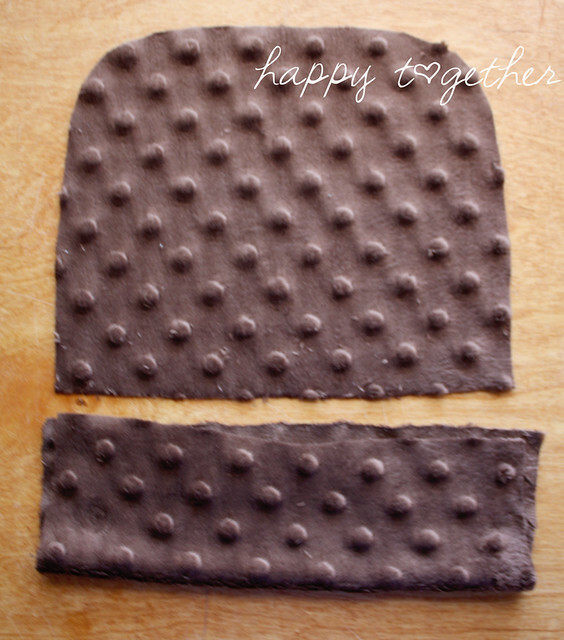 To begin, I wanted to make a paper pattern, so I folded a hat in half and placed it on paper. 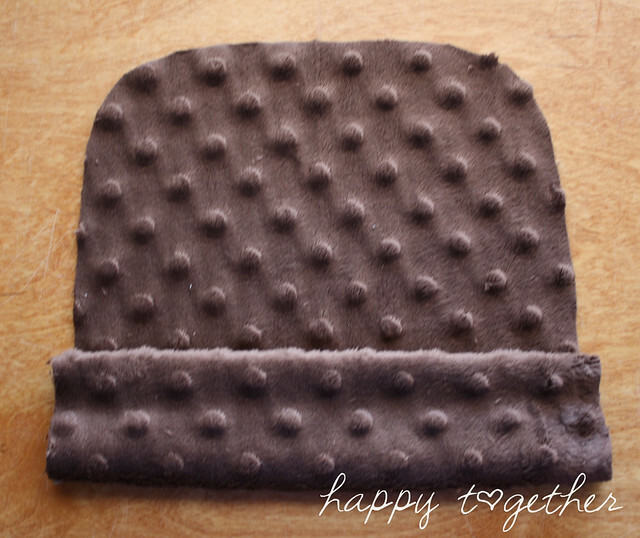 I pushed the folded side towards the edge and made a half of a beanie hat shape. The edge of the paper becomes the “fold”. 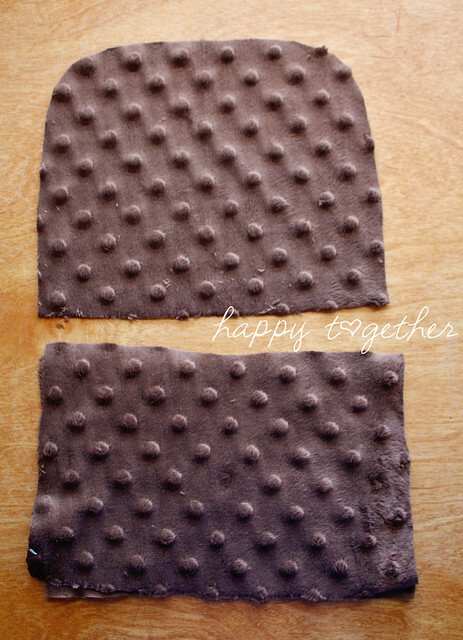 Remember to add a little bit extra around the edges for seam allowance, but not too much since the fabric is stretch. 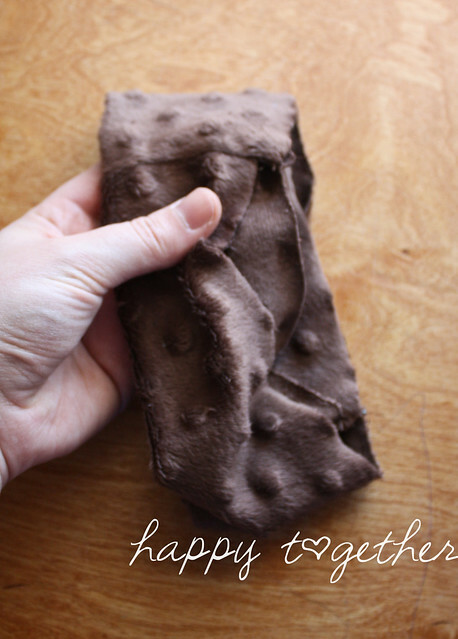 Take the fabric you are using for the outside and fold in half. 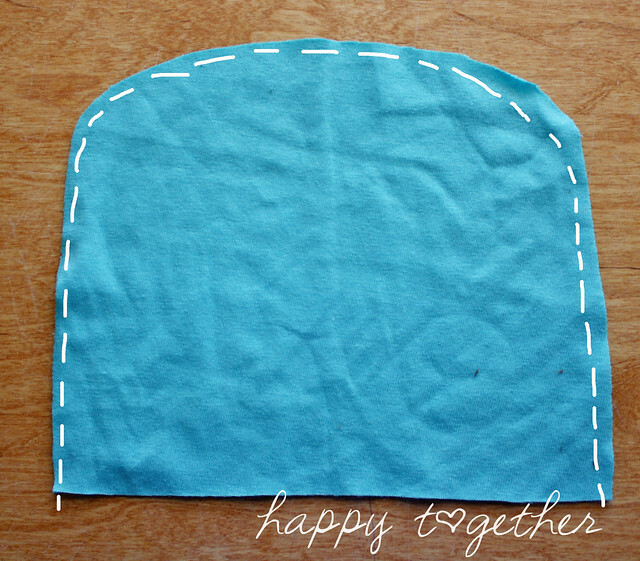 Make sure the stretch of the fabric is horizontal so it will stretch. Otherwise, it won’t stretch and it won’t fit well on baby’s head. 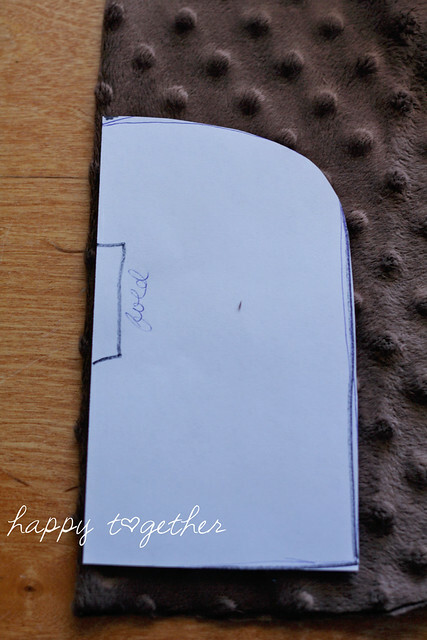 Place pattern piece with “fold” on the fold of the fabric. Cut out and then repeat and cut out one more piece. 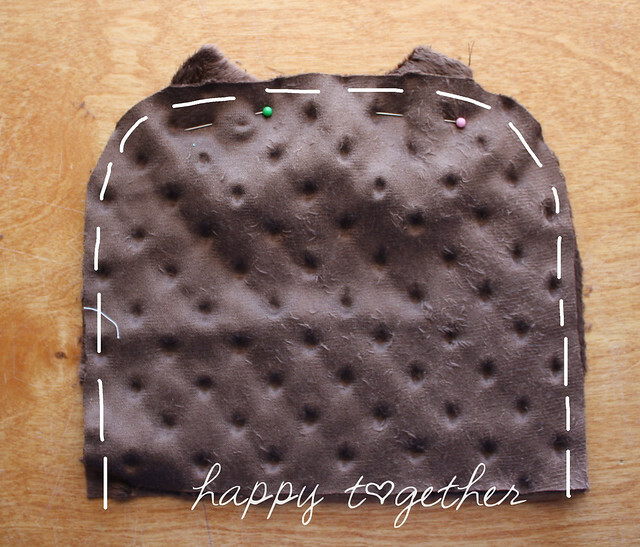 Then you will do the same for the inside lining and cut two pieces for that. Again, make sure the fabric stretch goes horizontal! 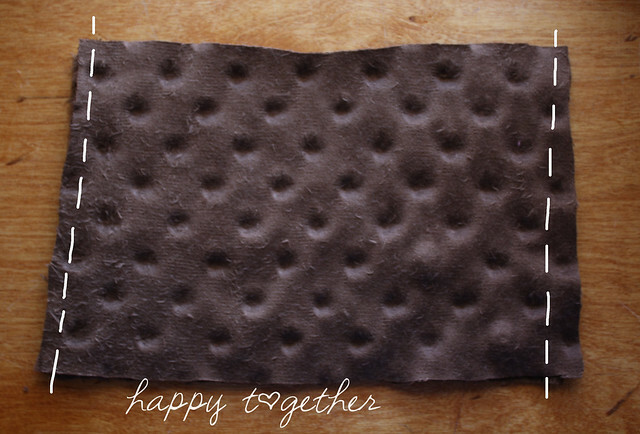 Just remember, it will be folded in half eventually……. then rolled up once sewn on. 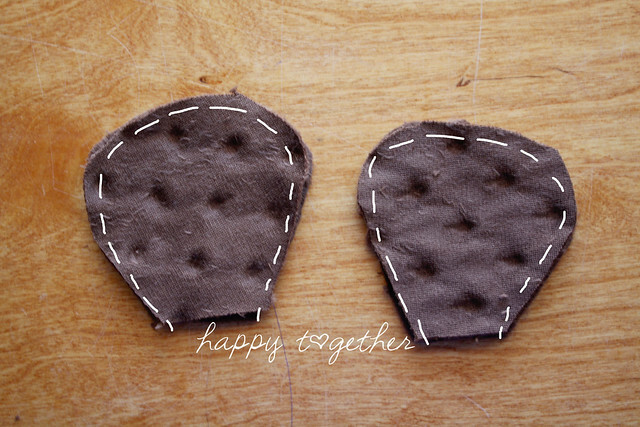 You will also need to cut out four identical pieces that look like ears. 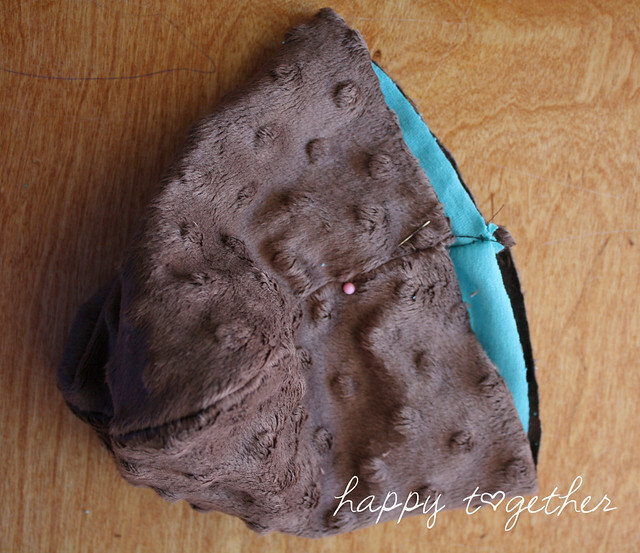 Then place two ear pieces right sides facing and sew around edges, but remember to leave the bottom open for turning. Repeat for the next two pieces. 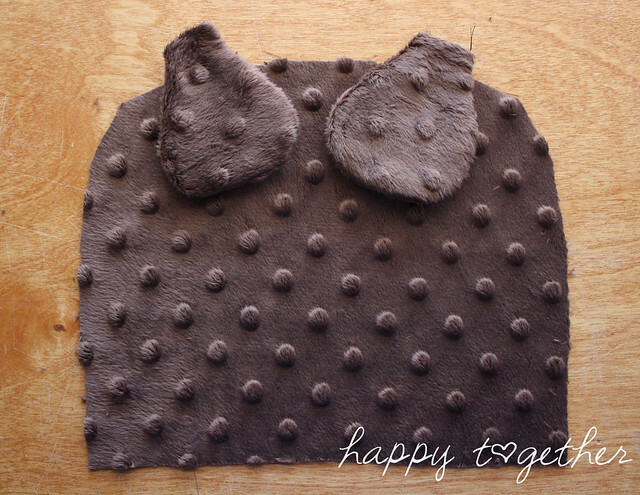 Turn the ears right side out and place on one of the outside pieces with the open ends over the edge of the hat. Tip: You could aslo add a ribbon loop near an ear as well so you can easily clip a hair bow onto the hat if you like. 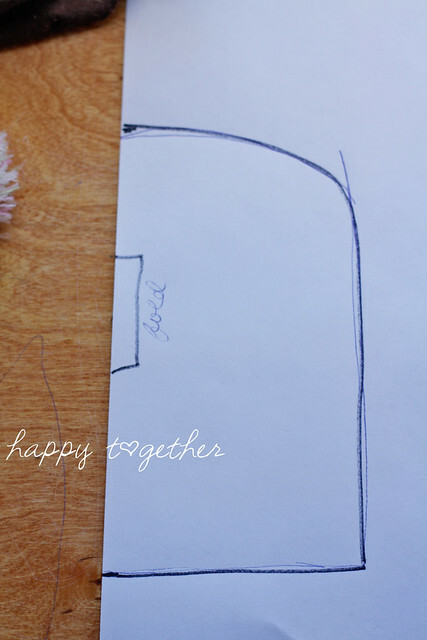 Place the second outside piece on top, right side facing down. 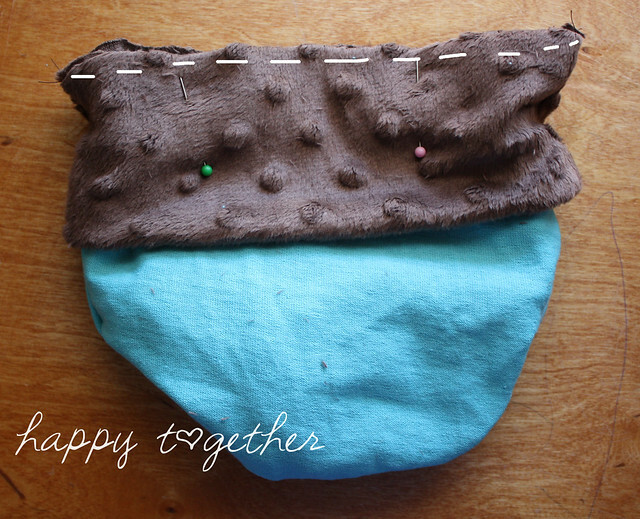 Sew together, leaving the bottom open. 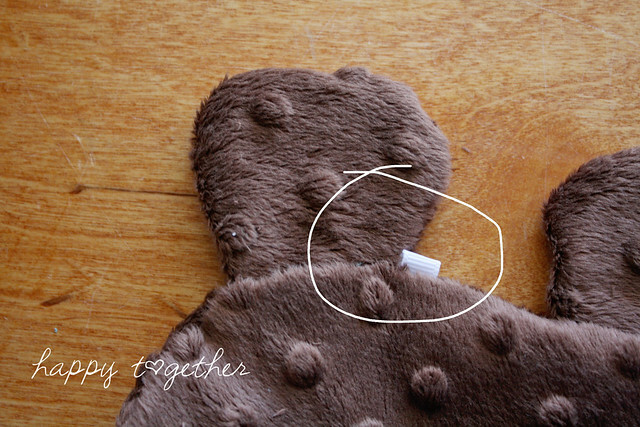 Place the two lining pieces right sides facing, and sew together leaving the bottom open. 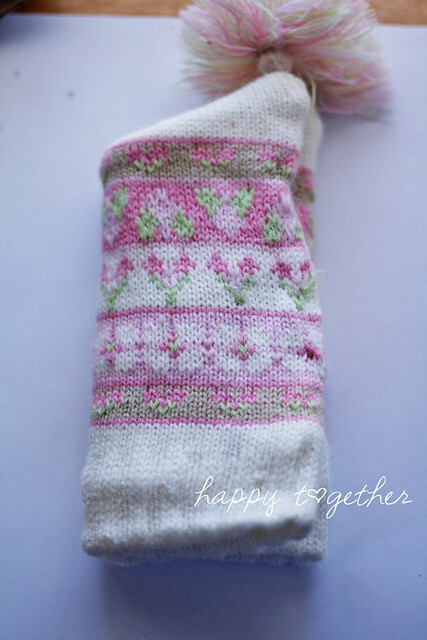 Now sew the two cuff pieces together on the ends (this would be the “height”). place inside the outside hat part (which will be right side out). Match up the seams and pin in place. Take the cuff and fold in half. 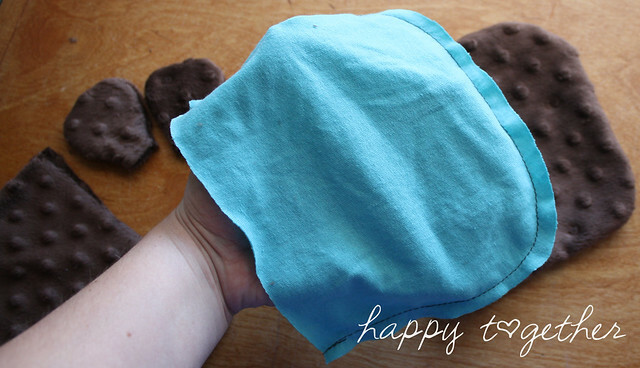 Turn hat inside out and pin the open side of the cuff onto bottom of hat. I highly recommend matching the side seams up. Sew cuff onto hat. Then flip the cuff up, covering the seam. 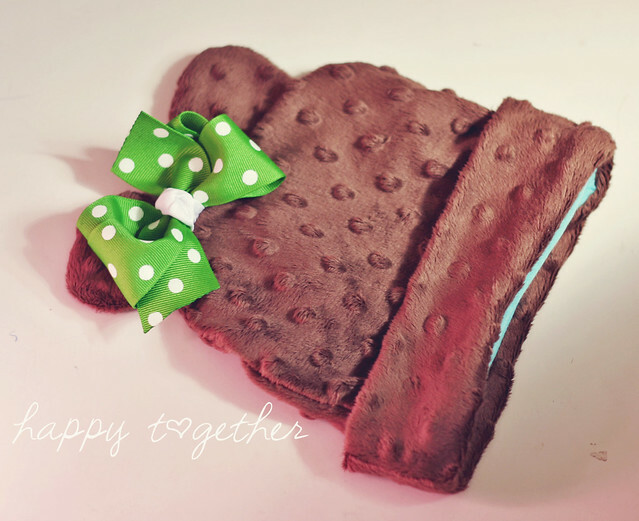 If it’s for a girl and you added the ribbon loop, you can clip on a cute little bow now. Now we wait for some cooler weather to return so we can put this hat to use! Yay! 🙂 Very cute – and a great tutorial. Thanks Jess. I think this one is going onto my “To Do” list. Adorable!! I must go and get some brown minky. Love it!! Thanks for the tutorial! I hate to admit that it’s been a while since I’ve last visited your site. 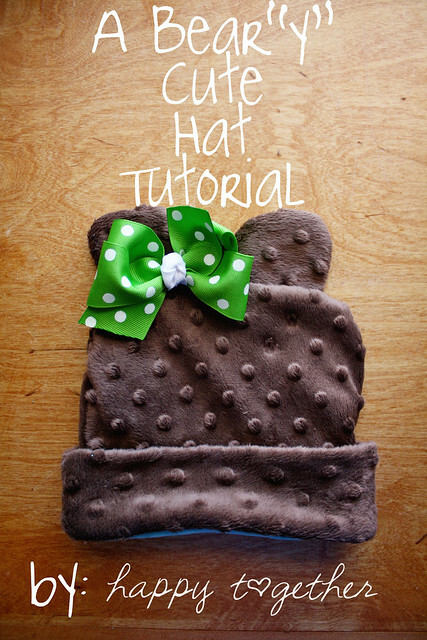 We don’t have any little ones in our household but this bear hat is such a cute idea. 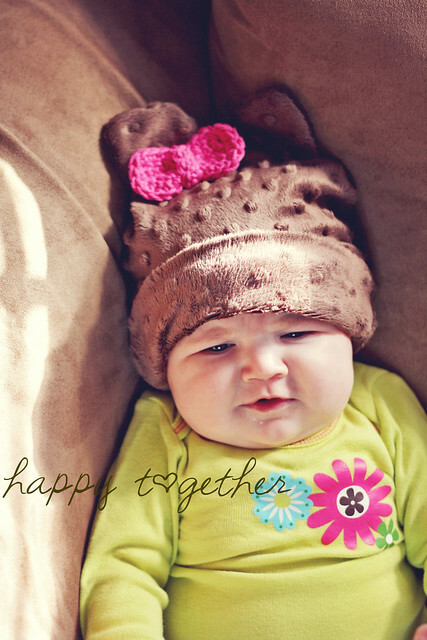 And using a child’s current hat as a pattern makes it possible for us adults to even use this pattern! This is absolutely adorable!! 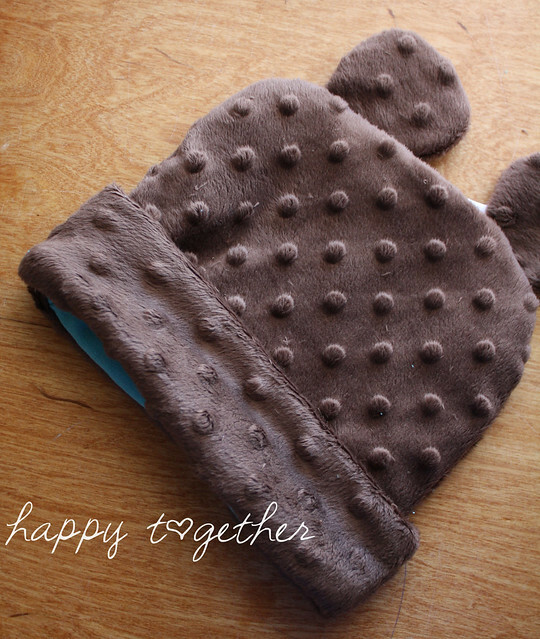 Will be making it for my brother’s new baby girl, Isabelle!